service for our patients and the treatment of their feet. At Devonshire Street Practice we can perform a number of treatments, below are our most popular treatments. If you require something that is not listed, please do not hesitate to contact us for further information. 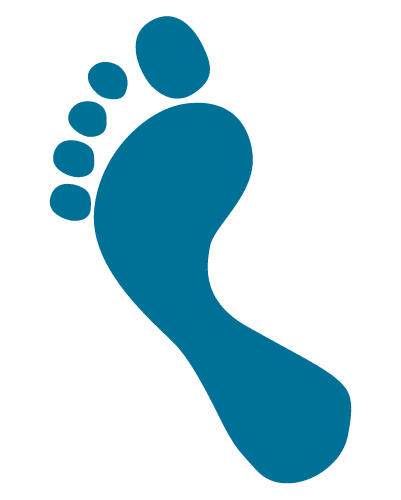 Whether you are suffering from a foot injury, ankle pain or ingrown toenails, here at Devonshire Street Practice, any problems you’re having will be treated in a caring, effective manner. As podiatrists, we have the ability to gently remove the dead and dry skin from your heels leaving them smooth again. Our professional nail surgery services are suitable for every condition that can affect your toenails, including ingrown toenails, infections and anything else that is causing discomfort and pain issues. Our Podiatrists have clinical experience in the diagnoses and treatment of corns & calluses, and so can provide treatment in a safe and healthy manner avoiding any dangerous complications associated with self-treatment. It is best to see us at Devonshire Street Practice for professional advice and treatment as soon as you notice a Verruca. We are foot and lower limbs specialists with extensive training in the effective treatment of plantar Verruca. Devonshire Street Practice will either use a mechanical tool to grind down your thick nails or nail nippers and a nail file or a combination of both to reduce the thickened nail. We Are a private Podiatry/Chiropody practice in the heart of Keighley, Serving the population of Keighley and the surrounding areas. We aim to offer a quality service for our patients from the moment they arrive, as a family run business we want all out patients to feel relaxed and choose us for all the podiatry needs. Wendy has been in practice for over six years and previously worked within the NHS. She is HCPC Registered and holds a BSC Honours in Podiatry, she also a registered Member of the society of Chiropody and Podiatry. The Qualifications held by Wendy are recognized by most major health insurers. “Just a quick one to say that I have visited Devonshire Street Practice a handful of times over the last few months now. Before arriving for my first appointment, I was nervous about the treatment; I needn’t have worried. Wendy is caring and conscientious, and has ensured my visits have always been comfortable and (relatively!) pain-free. Whereas once I was apprehensive about a trip to the Podiatrist’s, I now look forward to visiting (much to the confusion of the missus)! I must also give credit to the receptionist, who, though his name escapes me at the moment, is extremely welcoming: I very much look forward to our next chat over a coffee in the waiting room as we put the world to rights all over again! Devonshire Street Practice is open days a week from Monday to Friday. Every 2nd Saturday of the month we are open from 08:00 – 12:00. We also understand that most people will be working Monday to Friday, so to cater for those people we are open late on Mondays. Feel free to contact us using the details provided. To get the quickest response using our telephone would be the best method as we have an answering machine so you can leave your details. Alternatively, please feel free to use the contact form provided. Devonshire Street Practice is closed Good Friday & Easter Monday.